Short on time? Let concrete-mixer-truck sellers contact you. Concrete Mixer Trucks are mainly used for mixing and carrying concrete in long distance. Then can delay concrete primary concretion, avoid concrete stratification and separation, ensure the concrete can be normal at work site. New condition 8m3 small concrete pump cement mxier truck are mainly used for mixing and carrying concrete in long distance. Then can delay concrete primaryÂ concretion, avoid concrete stratification and separation, ensure the concrete can be normal at work site. We can provide trucks with different capacity, such as 8m9m 10m12m14m15m16metc. .
EP3.5 self-loading concrete mixer combines the function of self-loading material, computerized weighing, water pumping, mixing, transporting and discharging. Utranazz range of Rough Terrain Concrete Mixers are 4x4 wheel drive self-loading concrete mixers fitted with a front operators cab. They can climb, fully loaded with concrete, over the most precarious terrains at gradients of up to 30o. They can load, mix, produce and discharge over 100m3 of concrete per day, and its electronic weighbatching equipment ensures precise mixes of any grade of concrete with an accuracy of +/- +%. For ease of operation, Utranazz Rough Terrain Concrete Mixers are joystick-controlled and fitted with a 300o slewing drum, allowing concrete to be discharged at every side of the vehicle at heights of over 2m. 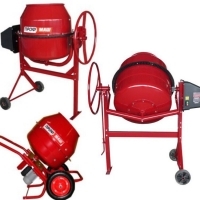 Simple to use and easy to maintain, the mixer is suited to all types of job-sites from congested city centres to remote villages.They are available in the following sizes: 1.0, 2.0, 2.5, 3.5 and 5.5 cubic metre outputs. The drum is fixed on the 1.0, 2.0 and 5.5 models and slews through 300o on the 2.5 and 3.5 models. All models have hydrostatic transmission with æTÆ way steering and are fitted with either Perkins, Cummins or Deutz engines. They are available in the following sizes: 1.0, 2.0, 2.5, 3.5 and 5.5 cubic metre outputs. 1.Professional team. 2.Perfect quality. 3.Perfect service idea. 4.Competitive price. 5.Ce, iso9001 , sgs certificate.